Keep your family's food fresh and organised with the Hisense 230L Top Mount Frost Free Fridge, with a minimalistic design sure to be at home in any kitchen. Key Features A massive 162L main refrigerator compartment with two adjustable glass shelves, along with a 68L freezer section, provides plenty of room for keeping your food fresh and organised. An interior LED light is an efficient and cost-effective method of seeing what's in your Hisense Fridge. Specialised organisational touches such as door baskets, special compartments, and a vegetable crisper make the Hisense 230L Top Mount perfect for food management. Advanced features such as the multi air flow system and frost free operation put the Hisense Fridge ahead of the competition. The Hisense HR6TFF230S Refrigerator was added to the Refrigerators category in June 2016. 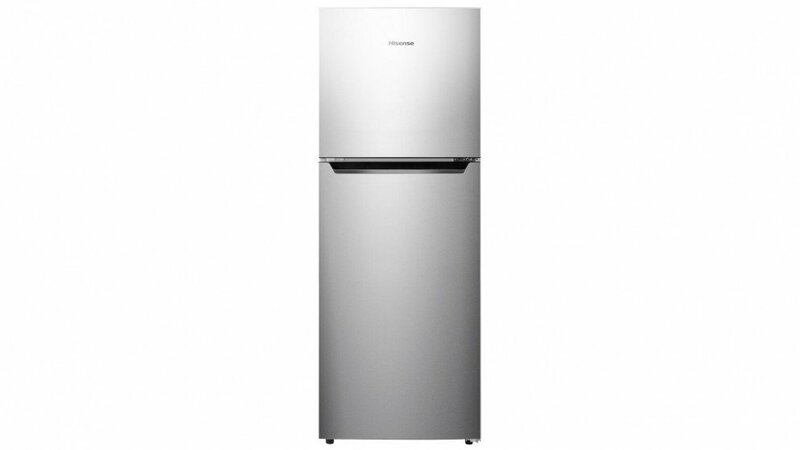 The lowest price GetPrice has found for the Hisense HR6TFF230S Refrigerator in Australia is $429.00 from Appliance Central. Other merchants who stock it are Appliance Central, Appliances Online, think of us, Billy Guyatts.